The nearest point between the island of Cebu to Negros island is from Liloan to Sibulan port which is more or less 7 kilometers. 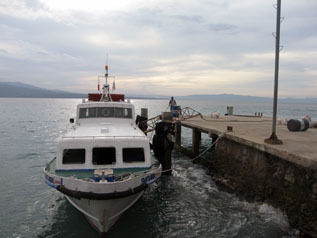 The earliest means of transportation from Liloan, Santander to Sibulan, Negros Oriental was through sailboat. Then came the motorized banca, locally known as “pumpboat”, in the year 1970. At present, there are two means of transportation, the pumpboat and the fastcraft.